The City of Avondale Estates has been designated as an accredited Main Street America program for meeting rigorous performance standards set by the National Main Street Center. 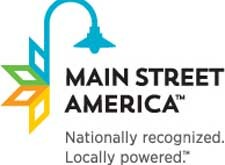 Each year, the National Main Street Center and its Coordinating Program partners announce the list of accredited Main Street America programs in recognition of their exemplary commitment to preservation-based economic development and community revitalization through the Main Street Approach. "Once again, we are thrilled to recognize this year's nationally accredited Main Street America communities for their outstanding work," said Patrice Frey, President, and CEO of the National Main Street Center. "We are experiencing an exciting era for America's cities and towns, with a growing recognition of the importance of strong local enterprise, distinctive character, engaged residents, and sense of place. These are things that Main Street America programs have been working to protect and advance for years, strengthening the economic, social, and cultural fabric of communities across the country." The organization's performance is annually evaluated by the Georgia Main Street Program, which works in partnership with the National Main Street to identify the local programs that meet ten performance standards. Evaluation criteria determines the communities that are building comprehensive and sustainable revitalization efforts and include standards such as fostering strong public-private partnerships, securing an operating budget, tracking programmatic progress and actively preserving historic buildings.